Chateau Coutet is located in Barsac, it is one of the oldest producers in Sauternes. Visited by President Thomas Jefferson in 1787, the president to be claimed Chateau Coutet the best Sauternes in Barsac. Originally an English fortress, the estate was formerly owned by the Lur-Saluces family of Chateau d'Yquem. The name "Coutet" is derived from the Gascon word meaning knife, a reference to the fresh, lively and crisp palate that is the estate's signature style. Chateau Coutet is the largest vineyard in Barsac, with 38 hecatares planted to 75% Semillion, 23% Sauvignon Blanc and the rest to Muscadelle vines. 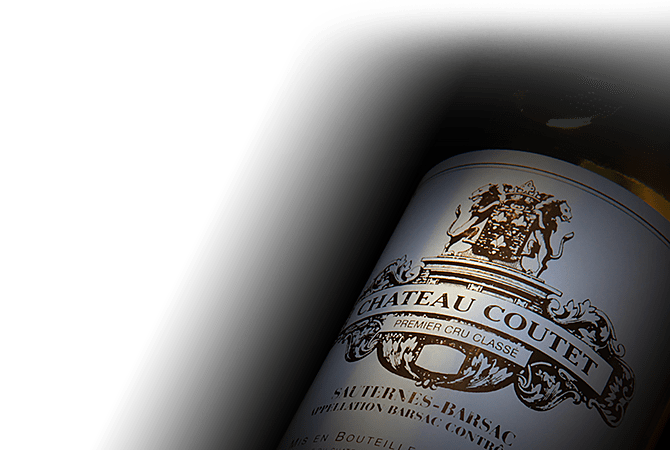 Chateau Coutet wines are made of primarily Semillon with small amounts of Sauvignon Blanc, known for their lively acidity, refreshing style and impeccable balance.